For more detail on notices, please go here. NOTICE: From 20-Apr 2017 to 24-Sep-2017 the direct-normal solar measurement at the Desert Rock SURFRAD station was artificially low by about 10% because the calibration constant was transcribed erroneously into the processing software. That error has been corrected and all affected Desert Rock data files and products, including the monthly averages, QcRad3, and RadFlux, have been regenerated using the correct calibration constant. NOTICE: From 13-July 2016 to 19-Sep-2017 the station pressure measurement at the Penn State SURFRAD station was off by ~ -10 mb. That has been corrected and all affected data files and products have been regenerated using the correct station pressure. NOTICE: On 29 Dec. 2016 the output of SURFRAD data changed to include 2 decimal for the reported pyrgeometer case and dome temperatures. Only formatted reads will be affected by this change. Most users will not have to modify their SURFRAD read code because free format reads will not be affected. Since most modern programming languages require only a “separator” designation in their read statements, free format reads are the default. Initially this change will affect SURFRAD data files from 29 Dec. 2016 onward, but soon all historical SURFRAD data will be reprocessed to include the change. 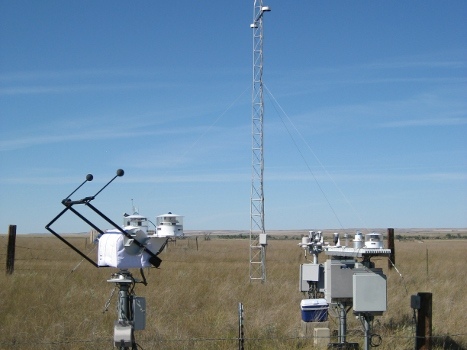 NOTICE: The global pyranometer measurement at Fort Peck from 25 September 2014 through 22 September 2015 may be anomalously low. Please use [direct x cso(SZA)] + diffuse for global horizontal solar irradiance for that period. In practice, it is always best to use direct + diffuse in lieu of a single pyranometer measurement for global horizontal solar irradiance. 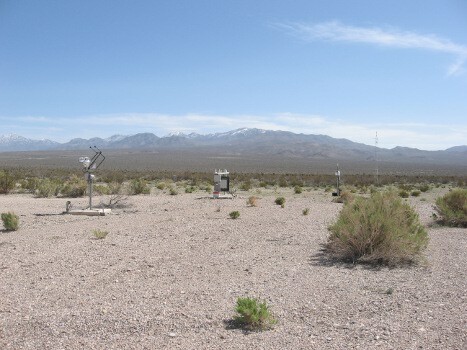 NOTICE: From 22 August 2010 through 13 Sept. 2010, the upwelling infrared measurement at the Desert Rock SURFRAD site was intermittently (and mostly) bad due to corrosion on contacts at the 10-m tower. The erroneous upwelling IR values that were produced were so small that they did not reach the lower limit of the QC plot and therefore did not show up. Consequently, the SURFRAD QC analyst assumed that those data were marked as missing in the data files that were distributed. However, the bad values remained in the archived data files. On 6 July 2016, the all of the erroneous upwelling IR data from Desert Rock for that ~3 week period during late summer of 2010 were marked as missing and good data files were produced. SURFRAD data users should replace their Desert Rock data files for the affected period in 2010 with the new reprocessed files that were placed in the SURFRAD FTP archive on 6 July 2016. NOTICE: From 22 August 2014 through 4 Sept. 2015, the albedo at Table Mt. was consistently low by 1-2% compared to other years. The calibration of the pyranometer that was used during that period was checked and its responsivity value was found to be too great by 0.0164. On 16 Sept. 2015, the Table Mountain calibration file was adjusted and the upwelling solar recomputed over the affected period. The new data files were written to the FTP site on 16 Sept. 2015. 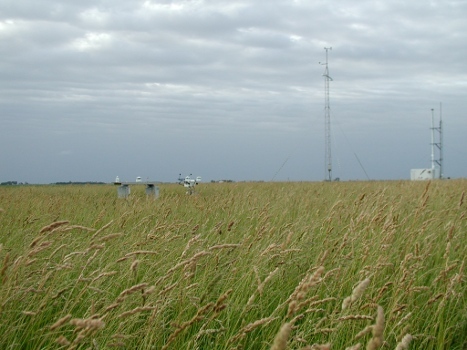 NOTICE: On 19 November 2014 the wind monitor was replaced at the Goodwin Creek SURFRAD site. When the replacement wind monitor was mounted, it was rotated 128 degrees clockwise from its proper alignment. Consequently, the wind direction reported in the SURFRAD processed data files was off by +128 deg. from 19 November 2014 through 11 May 2015. 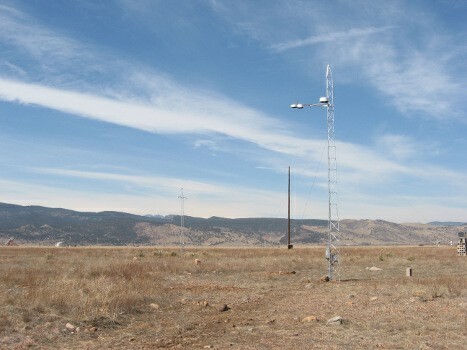 On 27 May 2015 all of the wind data during that ~6-month period was corrected and new daily data files with the proper wind direction were generated. 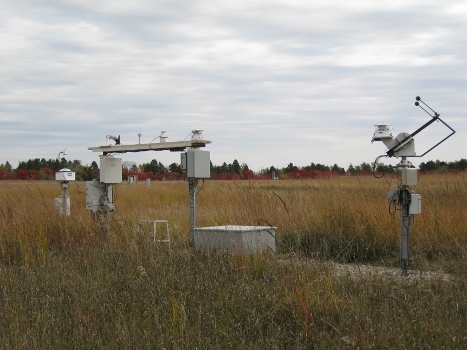 NOTICE: As of 1 Jan. 2015, SOLRAD network radiation data will be reported at a one-minute frequency. 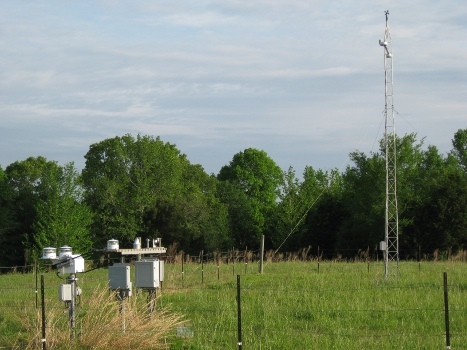 NOTICE: The calibration value assigned to the quantum sensor that measured photosynthetically active radiation (PAR) at the Bondville SURFRAD station from 13-Jun-2014 through 13-Aug-2014 was found to be bad. A new calibration was assigned and all data during its two-month deployment were reprocessed. See the “Problems” page for more details. 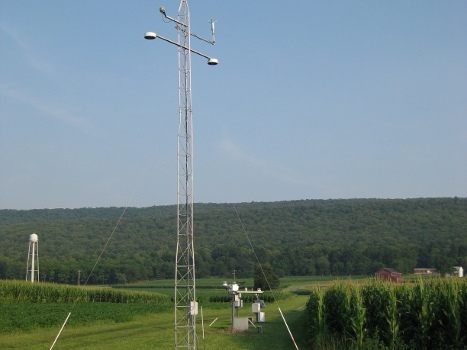 NOTICE: The quantum sensor that measures photosynthetically active radiation (PAR) at the Penn State SURFRAD station lost approximately 4% sensitivity on 22 Sept. 2013. That sensor was replaced on 14 Nov. 2013 after which the PAR measurements increased to more normal values. On 21 Nov. 2013, the QC values of the Penn State SURFRAD PAR measurements over the affected period (22-Sept to 14-Nov. 2013) were set to bad (1), however, the PAR values were kept in the data files, i.e., not set to missing. NOTICE: The clock in the Table Mountain SURFRAD station data logger drifted linearly from late October 2012 to 5 May 2013. On 5 May 2013 the clock time was found to be fast by nearly four minutes, and the problem was fixed. A linear correction has been applied to the time in all Table Mountain raw data files for that period and those files have been reprocessed. The new time-corrected data files were uploaded to the SURFRAD FTP site on 15 August 2013. 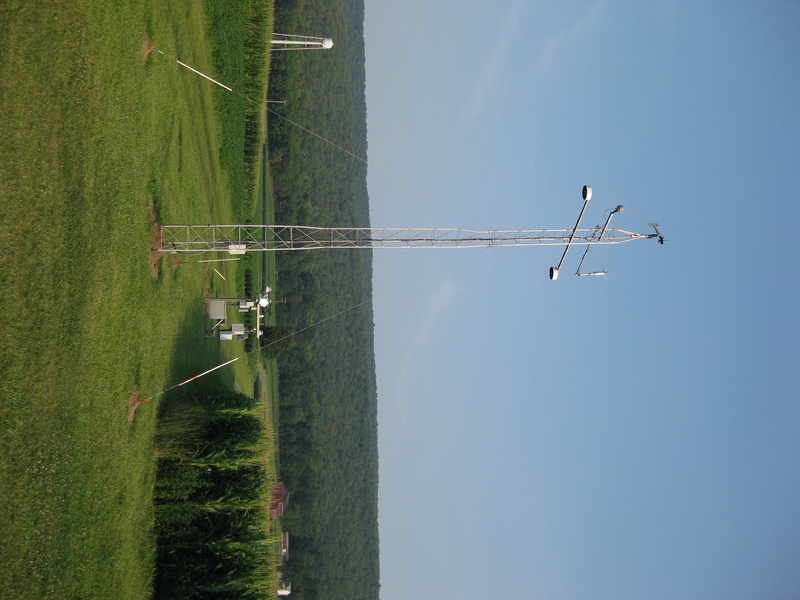 NOTICE: The station pressure at Penn State drifted by about 0.4 mb per year between 11-April-2003 and 18-June-2012. Those data have been corrected and new Penn State SURFRAD daily files have been generated with corrected pressure for the affected period. NOTICE: The README file that describes the SURFRAD data files has been updated. Please download the latest version from any of the individual station FTP data directories, e.g., ftp://aftp.cmdl.noaa.gov/data/radiation/surfrad/Bondville_IL.